by Abigail Kimball, from Sheila Connolly's Relatively Dead Series. It’s been a long time since I’ve been here, but so much has happened! In case you don’t remember me, I’m the one who moved to Massachusetts and started seeing ghosts. Let me tell you, that was a shock, because I’ve never been a super-imaginative kind of person. I mean, really—I’ve been a school teacher and worked for a foundation, but there was nothing woo-woo in my life to prepare me for what started happening. And my then-almost-fiance Brad just couldn’t understand when I tried to tell him, so we split up. And then I had to find a new place to live and a job, fast. That was last year. This year I’ve got a job I like, planning children’s programs at a small historical museum. I’ve got a nice house-sit, at least until the owners come back from their winter place in Arizona, so I can look around and get to know the area and figure out where I’d like to live. And I’ve got a great guy in my life—and he does understand what’s happening with me, because he shares it. And I’m still seeing ghosts. Sometimes it’s kind of hard to handle, when these people (or former people?) show up when I don’t expect it, and nobody else can see them. It’s not totally random, because they all share some kind of connection to me, or my family at least, but since I never knew much about my family tree, I don’t know who I’m seeing. And they don’t see me, either. I think. In a way it’s getting easier to see them with practice, and now I’m more open to them, but I’m not sure if that’s good or bad. I’m probably not explaining this very well, am I? But it’s all still pretty new to me. If anybody had told me a year ago that this was going to happen to me, I would have laughed. If anyone had told me then that I was surrounded by generations of my Massachusetts family members, I certainly wouldn’t have believed them. Things have changed—and seeing is believing! 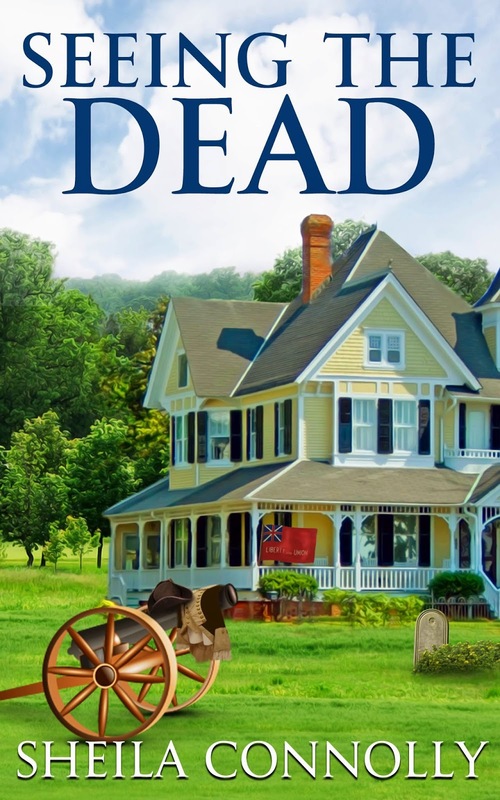 Seeing the Dead is the sequel to New York Times ebook bestseller Relatively Dead (2013). You can find it now for Kindle and Nook. If you want to see how all this started for Abby, Relatively Dead is available here for Kindle and Nook. I can't believe I didn't know about this series. I'll have to find time to read up about you and then see your new adventures!